The A segment hatchback is probably the workhorse of most modern urban families. It is their daily runabout, probably their first car and a sizable big investment. Such humble notions don’t stop it from being one of the most competitive segments. Car makers have the difficult job of providing the most of everything while sticking to the lowest price possible. The culmination of this struggle can be seen in the 2017 Toyota Wigo and the Suzuki Alto 800. For something that is supposed to be bare bones basic, these cars sure pack a punch. This makes choosing between the two a surprisingly difficult job. What follows is a guide that will make this decision simpler. Being charming is a necessity for these cars and they seem to pull it off pretty well. The revised Wigo comes with a new fascia. It has bigger headlamps, a gigantic grille and fog lights that look like eyelashes with excessive mascara. The rear has a new bumper with honeycomb insets, redesigned tail lights and a well-executed spoiler. Overall Toyota seems to be going for a sharper look compared to the Suzuki. The Alto, is going for a more honest approach. It is barely facelifted from the previous model. You will be hard-pressed to tell it apart from its first iteration which came out 20 years ago. The standard version even comes with unpainted bumpers. Some might argue that this makes them easier to maintain. Styling can only be seen in the upswept headlights. The reasons for this oversight will come clear later. It’s surprising how much we can get from a car even at this price range. What should not be surprising is the sheer amount of plastic that is in both these cars. The feel from the plastics in the Toyota is solid but there is some noticeable cost cutting in refinement. The upholstery does get some color coordination with the exterior. The revamped touchscreen infotainment system does get a new navigation mode. There is even a 4 speaker stereo system with controls mounted on the steering wheel. Still, the steering cannot be adjusted. The Suzuki however, makes the Wigo look like a luxury car. This is as basic as it gets. Basic instrumentation, basic gauges, no power windows and no touchscreen infotainment. There are, however, some decent sized and well thought out storage compartments. Space is also at a premium with the dated design of the Suzuki barely able to seat 4 people in comfort. The Toyota has slightly more passenger and cargo space thanks to its design. It also ends up being more comfortable with more headroom and legroom. The 2017 Wigo comes with the same 1.0-litre engine but more power. Its peak power of 65 bhp at 6000 rpm is exactly 1 more than before. Peak torque though goes up by 4 Nm at 4000 rpm to a healthy 89 Nm. The standard model has a 4-speed automatic but there is also an option of a 5-speed manual. The Suzuki comes with a – you guessed it – 800cc engine. Its 3-cylinder unit produces just 47 hp at 6200 rpm and 68 Nm of torque at 3500 rpm. There isn’t even an option for an automatic with only a 5-speed manual on offer. This should probably be a moot category for this segment, if not completely replaced by a breakdown of the mileage figures. Nevertheless, we can happily report that the Toyota benefits greatly from its torque bump. It is quicker in gaining speed and more at ease cruising on the highways. The smoother and trustier automatic happily does not hinder the mileage at all. It returned a decent 10.7 kmpl in city traffic. The drive is more on the cushy side and holds up on bad roads pretty well. The steering is light and responsive – good for city traffic. The Suzuki though suffers because of its dated suspension setup. It dives and rolls at the slightest bit of spirited driving. The pliant suspension does cushion the riders excellently from bad roads. The seats themselves are not very cushy. Still, for most short rides you won’t really notice. It then serves perfectly as a city runabout while also managing a decent fuel consumption figure. Toyota has given this area a high priority. The Wigo comes with anti-lock brakes, driver side airbags, seatbelts and rear childproof locks. 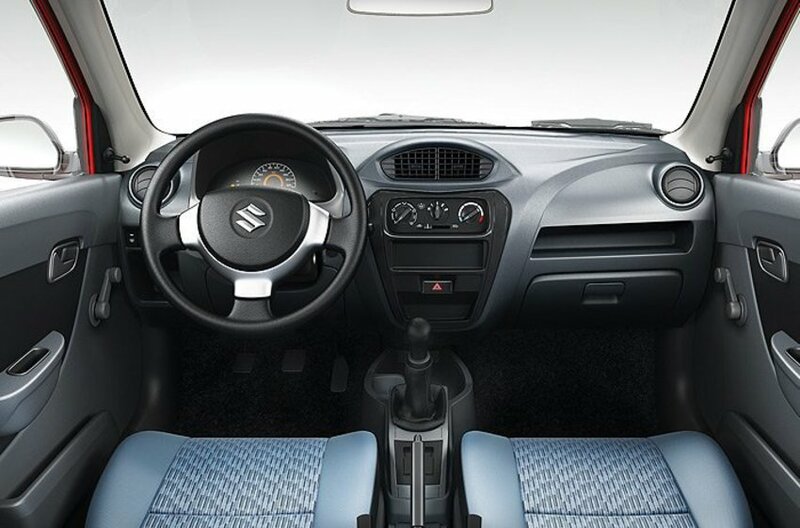 The passengers in the Suzuki Alto have to rely on just the seat belts and the side impact beams to protect them. In the age of predictive collision warning and self-driving cars, this lack of basic safety equipment is especially worrying. There is no other way of putting it. 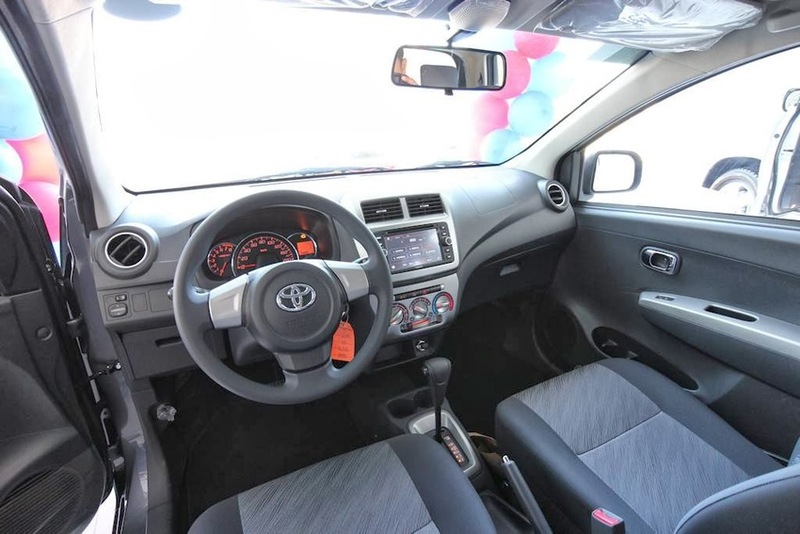 The Toyota Wigo ranges from Php 537,000 to Php 611,000. The Suzuki Alto 800 comes at a much cheaper Php 429,000. The differences in the prices of the two are probably the biggest factor in choosing between the two. The low price of the Suzuki also goes a long way in explaining its lack of even the most basic features. The Toyota is definitely a step up from the Suzuki. Frankly comparing it to the Suzuki Celerio would have done it more justice. Buying the Suzuki will get you a basic mode of transportation and not much else. It will be difficult, if not outright dangerous on highways. But it will keep you right at home if your driving revolves around the city. It will also keep the first time buyer looking for basic transportation, from having to buy a second-hand car. The Toyota Wigo will be a good fit for anyone with a little bit more to spend. It does probably lack in terms of mileage. The equipment levels and the safety equipment onboard, however, do make up for it. The decision then should be based on what you need from your car. Both these cars are extremely well suited for their roles. You just need to manage your expectations.